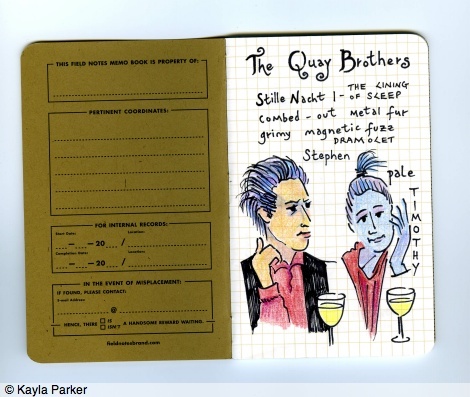 I drew the Quay Brothers at Animated Exeter on 16 February 2008, while they were in conversation with Suzanne Buchan, in one of my lovely Field Notes notebooks. Earlier that day I’d been to see their Dormitorium exhibition, downstairs at the Institute for Arab and Islamic Studies, University of Exeter. Miniature environments within wooden boxes, arranged at head-height and viewed through peepholes. 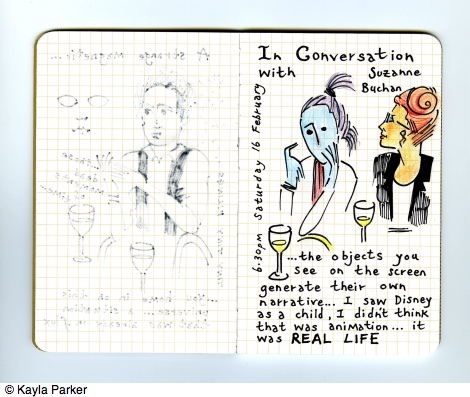 ‘Sketches of the Quay Brothers in conversation’ (x 4 illustrations) in Kate Jago (ed.) (2008) Proof (Volume 3 Issue 1) (Spring 2008) Exeter: Portfolio Five. 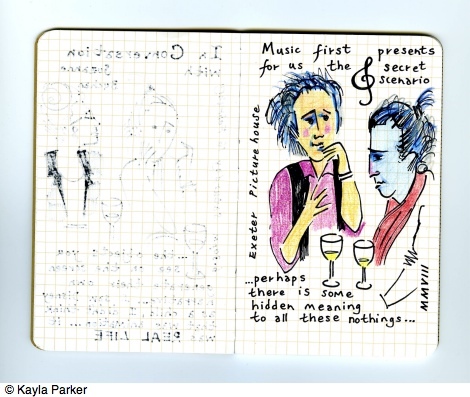 ‘Kayla Parker's sketchbook drawings of the Quay Brothers at Exeter Picturehouse, 16 Feb 08. 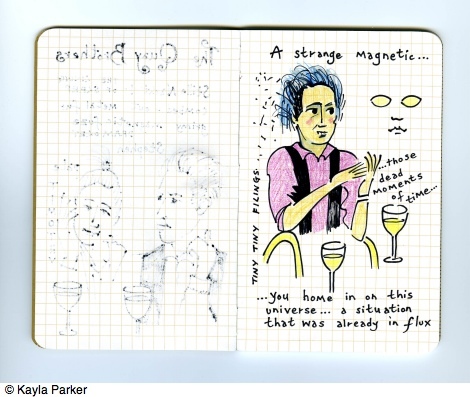 Nice notebook. -jc.10.16.09 #’ A post from the daily flow of linkage called ‘Fresh Signals’ at Coudal.com Chicago: Coudal Partners, Inc.